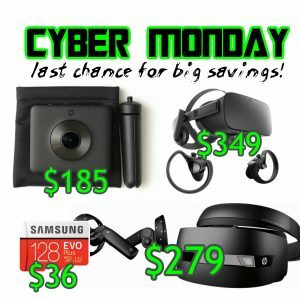 Here are some of the best deals for Cyber Monday 2017 for cameras and VR headsets and accessories. Check back here for more Cyber Monday deals! 1. Xiaomi Mijia Mi Sphere $185 & up. To get this price, use the coupons below (limited quantities). Coupon 1: $185 360RUM1111. If that’s used up, use the next coupon. Coupon 2: $185 GB11.11Deal57 If that’s used up, use the next coupon. 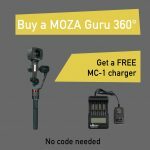 Coupon 2: $199 360Mijia1111 If that’s used up, use the flash sale (no coupon needed). 2. 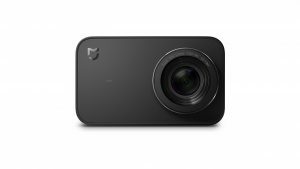 Ricoh Theta S $236.95. Regularly $329. 4. 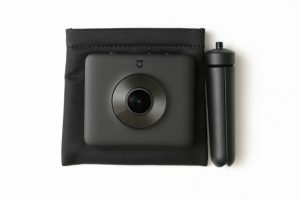 Insta360 Nano 3K camera $149. 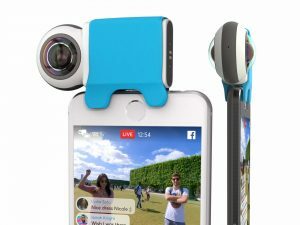 A 360 camera for iOS with stabilization and live streaming (stabilized as well). Can be used with or without a phone. 5. Giroptic iO: $125 to $149. Regularly $199. Sale begins 11/23/2017 9:01pm Pacific Time. 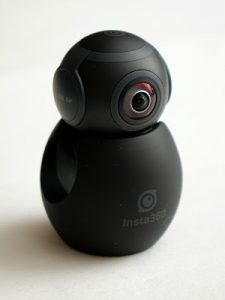 Giroptic iO is currently the only 360 camera that can do 360 video calls. – Giroptic iO for iOS $149. – Giroptic iO for Android – Micro USB $125. 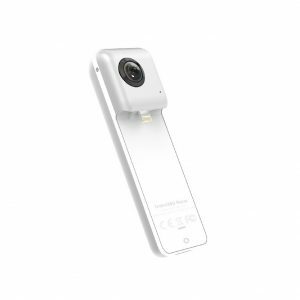 – Giroptic iO for Android – USB Type C $125. 6. Vuze 3D 360 camera $640 instead of $799. Vuze is the most affordable 3D 360 camera with 4K resolution. 1. 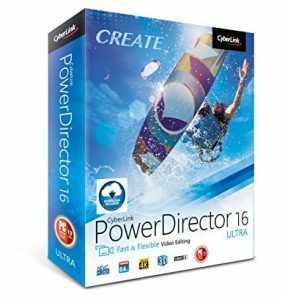 Cyberlink PowerDirector 16 Ultra $59.99. Regularly $99. 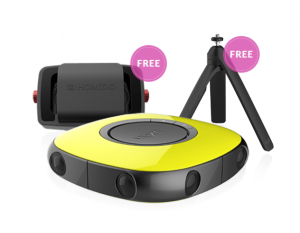 This is the first 360 video editor for consumers to feature stabilization for 360 videos. 2. 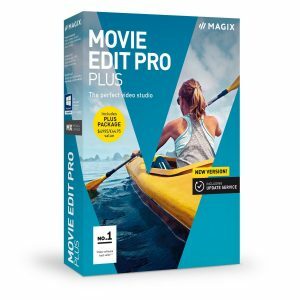 Magix Movie Edit Pro Plus 2018 $58.99. Regularly around $85. A powerful video editor with 360 video editing features, now including horizon leveling. 3. 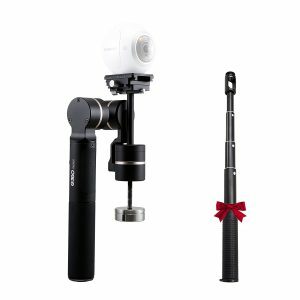 Feiyu G360 gimbal $279.99. Regularly $349.99. 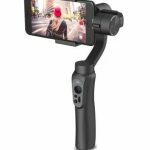 A gimbal for 360 cameras. 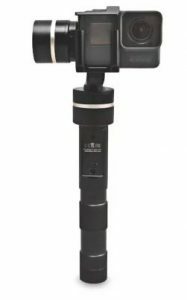 Compatible with GoPro and other action cameras with a height of 33 – 46mm, such as for GoPro Hero 3 / 3+ / 4 / 5, for SJCAM SJ4000, SJ5000 Series. 8. 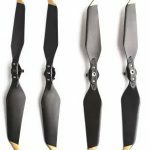 Low-noise propellers for DJI Mavic Pro in gold or platinum color – 4 pieces. $5.99. According to DJI, this new aerodynamic design for Mavic cuts the noise by 4db (60%) during takeoff and extends flight time (the total flight time will be 30 mins). 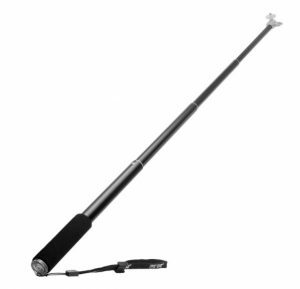 TBH I’m not 100% sure this is the original DJI product, but my Gearbest rep said it is, and it looks like it… FWIW, the Amazon price is $34 for 4 pieces. 9. hp Mixed Reality Headset $279 or if that’s gone, try this link too. This is the lowest cost VR headset with positional tracking. Very similar to Lenovo – see below. 10. 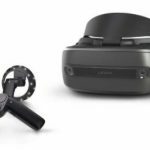 Lenovo Explorer Mixed Reality Headset with controllers $299. This is a VR headset with positional tracking and doesn’t even need external sensors. Now compatible with Steam VR (HTC Vive games). 11. 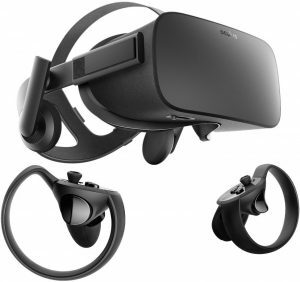 Oculus Rift with Oculus Touch $349. Regularly $399. Includes 6 free games: Robo Recall, Luckyʼs Tale, Quill, Medium, Dead and Buried, and Toybox. Rift has the largest library of games because it can use both Oculus Rift games and Steam VR games.